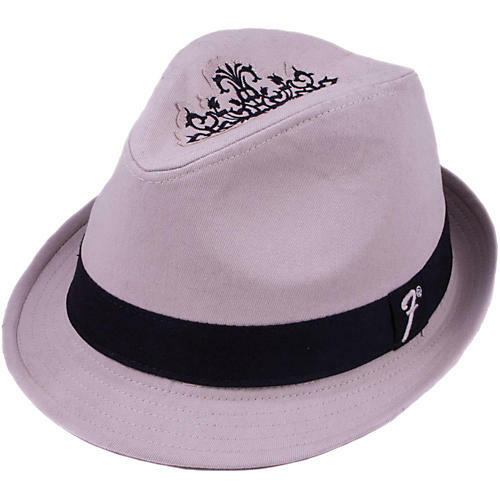 Make a bold Fender fashion statement with this ornately appointed Fender fedora. Available in khaki, this cotton twill hat sports a black band displaying a white Fender "F" logo. The top includes a decorative black tribal design.